Something Bubbly: Taste it to love it! A lovely day out with my Ppwen, such a long period we didn't meet up after-since the last outing we had; finally we do have one now. Bravo for her because she is now know how to come my house and town, a long journey for her and we had a late lunch. J.L. 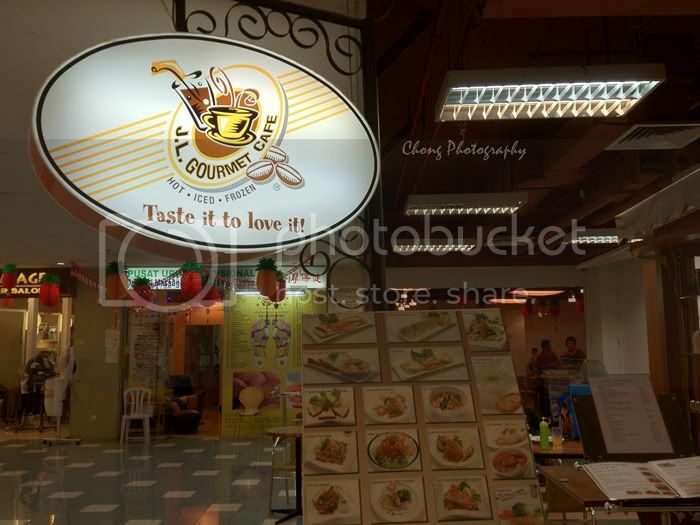 Gourmet Cafe at Prangin Mall. I always go to this cafe for their signature Mushroom Soup, couldn't resist it more. 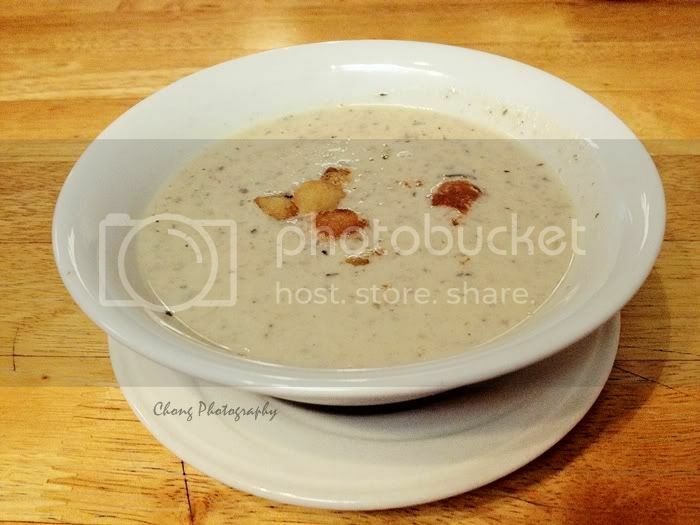 It's hard to find a creamy and yummy soup now like their. 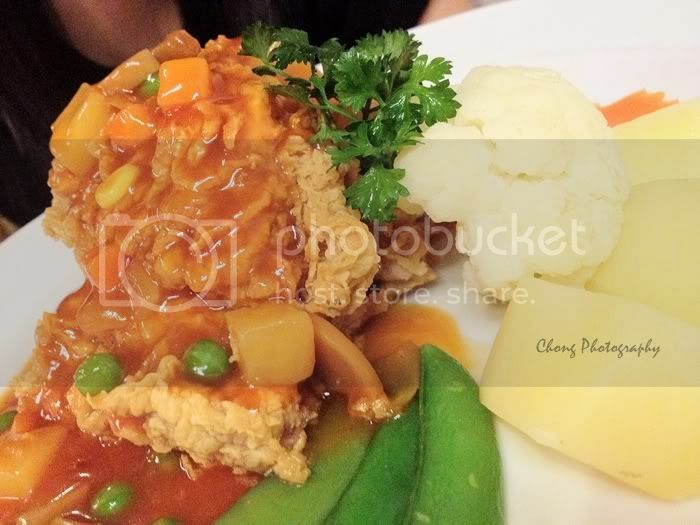 They served set lunch at RM19.90 which included soup, drink, main course and dessert; worth to try. 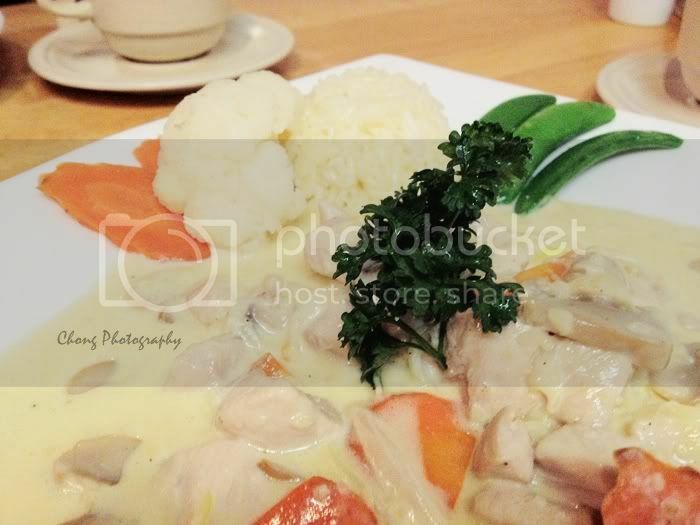 Tender pieces of chicken simmered in the delicious gravy and vegetable, served together with buttered rice. Lightly egg battered, fried to golden brown and masked with the sauce. 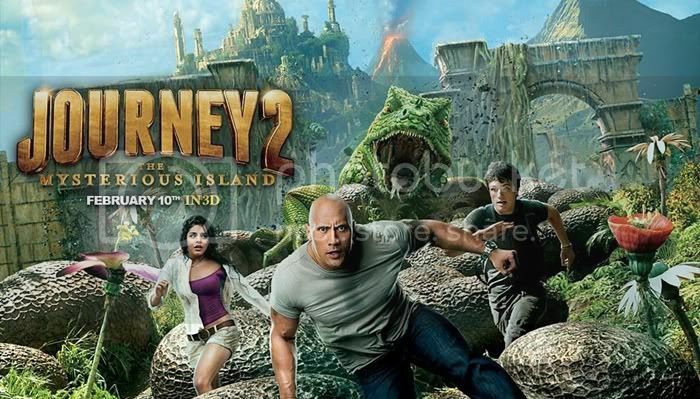 Were then went to watch Journey 2: The Mysterious Island at 1st Avenue; it was like we always watch this kind of movie. Laugh. In love with Dwayne Johnson when we watched him playing ukulele, his voice is good and love his version of What A Wonderful World. 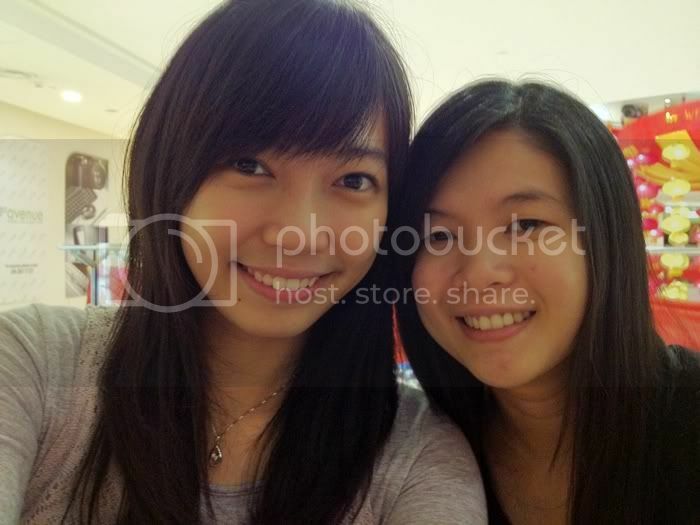 Always took shot of us before leaving each other, we will meet again. Smile. Add: 33-3-09, Prangin Mall, Jalan Lim Chew Leong 10100 Georgetown, Penang. Made a decision, yet I just don't know it will have drastic change, soon. oo, ppwen is a penangite too? Always passed by the shop but i never try it...yet.